You’ve heard all the buzz about social networks like Facebook, LinkedIn, Google+ and Twitter. Now perhaps you’re wondering if there’s a way to use these forums in marketing your business. Social networking is rapidly gaining acceptance in the business world. Millions of professionals are discovering the benefits of rubbing virtual elbows with other executives. How do you make these social networks work for you? Do you go on a no-holds-barred recruiting binge and lure everyone you can to connect with you? Should you offer free tickets to sports events or other valuable freebies to attract followers? Or should you simply document your every little activity in hopes that people will find your life so fascinating they’ll want to know even more about you? Sure you can use these types of methods, and they’ll give you a short-term boost in friends or followers, but that’s really not going to help you reach your goal. You want to establish true connections with people, because that’s how you’ll get business referrals and bolster your professional and corporate image. The best way to look upon social networking is to think of it like traditional networking, except you’re doing it via the internet instead of in person. If you’ve ever belonged to the local Rotary group or other club, you know how that worked. You’d meet with the other members regularly, shake their hands, get to know about their families and their work, and make small talk when you got together. Then, once you realized they were “good guys,” you’d send them possible referrals, and they’d do the same for you. Right? Twitter, LinkedIn, Google+, Instagram, Facebook and the many other social networks can be handled much the same way, except that you shake hands and make small talk using the internet. You still must establish a connection with people. You need to let them get to know you. Once they know you, they’ll like you. Once they like you, they’ll trust you. Once they trust you, they’ll bring you their business and refer their friends. See how easy that is? So, here’s what to do. Find out who the gurus in your industry are (or in another industry if that’s easier). Then friend or follow them on several social networks. Watch how they’re getting their name out there. Look at the information they’re placing online. Read their articles, posts and blog and see how they’re providing value to their readers. Once you understand how they’re “working it,” then you can develop a strategy that works for you. Slowly jump into the mix and try things on your own. Join in the fun. Contribute to conversations (in writing). Make the effort to get to know others. And contribute your knowledge and assistance when possible. You can’t be just a bystander or simply set up a profile. That would be like joining Rotary and not attending the meetings or attending the meetings but not actively participating in any way. You also can’t simply repost content that others have created. In order for people to get to know you, you have to post about the things that are important to you. Original content–whether it’s in tweets, photos, videos or written posts–gives others insight into who you are. Most important, be interesting. Nobody wants to read mundane posts. Your posts need to entertain or inform to garner attention. You can’t expect to cultivate a following with posts about your cup of coffee, elevator ride or commute. Be funny. Be unpredictable. Be passionate. Once you register with a social network, begin by connecting with other people in your fields. Join online groups that relate to your field and then contribute relevant information and opinions. Add to online discussions. Update your status or Tweets and let people know what exciting projects you’re working on. Most of all, you should provide value. Write and post articles online that can help others. If you have a blog or e-newsletter, use it to cross promote between your social networks and to let people know more about you. Put out quality information that positions you as the expert, the go-to person for all things related to your business, whether that’s insurance, graphic design, architecture or gardening. Blur the lines between professional and personal a bit because that’s how relationships are formed. Let’s say you have a blog that has to do with insurance. In addition to insurance articles, include a few paragraphs about your family, your hobbies, your activities, your interests, your pets, etc. These are the subjects that people can relate to and that make them feel like you’re a great guy and someone they like and know. Need more ideas of what to write on your social media sites? Consider some of the suggestions in the infographic below to get you started. Social networking is reminiscent of the internet in its early stages. You probably watched some of your largest competitors begin to build websites. You observed how they did it and saw how it worked for them. Eventually, you probably created your own website. Then, after you had it for a while, you likely refined it, added to it, and updated it. As your website has grown, so has its importance to your business’s success. Marketing via social networking can be approached the same way. Watch how others are doing it, and then little by little, get involved on your own. So go sign up on Facebook. Compose your first tweet. Create your LinkedIn profile. The more effort you put into social networking, the faster and more substantial will be the returns. 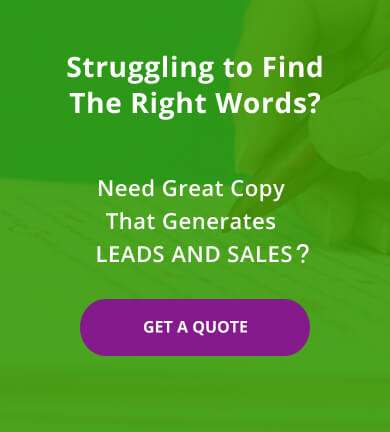 Susan Greene is a professional copywriter in Orlando, Florida. She writes websites, blogs, brochures and other marketing materials for clients located throughout the world. Susan uses social media to interact with prospects and encourages her clients to do the same. Need help with social media marketing? Contact Susan Greene today!